A head that needed a skull this big must have been huge, indeed, as this Giant Skull is far larger than most typical skulls. It is also far more resilient then it looks, in spite of the numerous cracks and chips that are visible over its surface. This impressively sized skull looks almost like one of its typically much smaller cousins, featuring a worn and stained bone appearance that makes the skull look as though it has been left to weather the elements for a period of time. 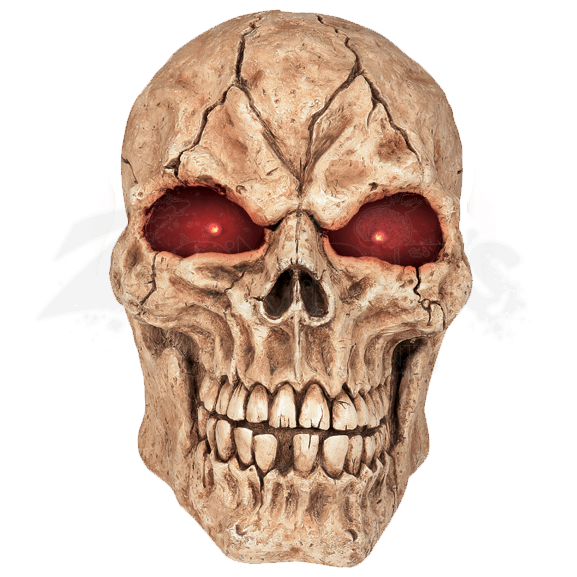 Cracks of varying sizes also adorn the skulls bony features, adding to its worn look. Its jaw is clenched shut, revealing squared, chipped teeth. Its most striking feature, though, is its vibrant, glowing red eyes, which flash brightly when activated. 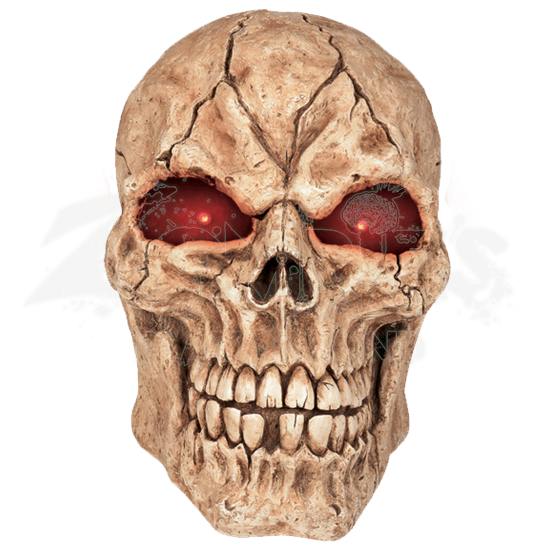 This impressively sized skull is made from quality fiberglass and is a perfect indoor or outdoor display. It stands approximately 21 inches tall and is battery operated, requiring 3 AA batteries to fun. Why settle for a small skull when you can instead have a massive one like the Giant Skull, which will not only draw the eyes and interests of all those who walk by, but will hold it with its flashing gaze and its eerie sounds.